You listen to a song and want to trim the most wonderful parts as the ringtone, or you want to trim music files to the length you want so as to save the space of your computer. At this time, you must ask how to trim MP3 files. Today, the guide will introduce two MP3 trimmers for how to trim MP3. MP3 Cutter Online is specially designed to create a personalized ringtone and trim music files as you like. Similar to most of online MP3 music trimmers, it doesn’t require you to register or download on the website. You can simply trim music in a few clicks. The online MP3 trimmer supports to trim music in the formats of WAV, FLAC, OGG, etc., and save the file in the format of MP3 or M4R. As for how to trim MP3, you can use this online MP3 trimmer free to trim MP3. 1. 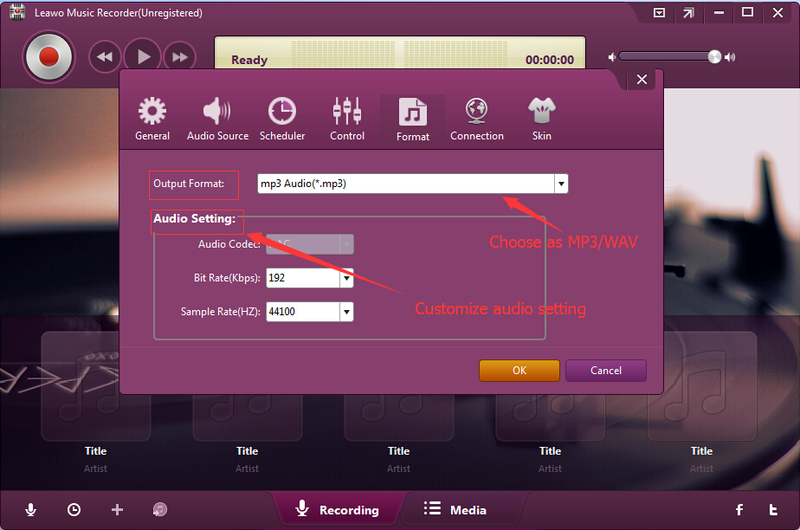 Choose "Open Audio File" to upload MP3 music file or you can drag MP3 to the box. 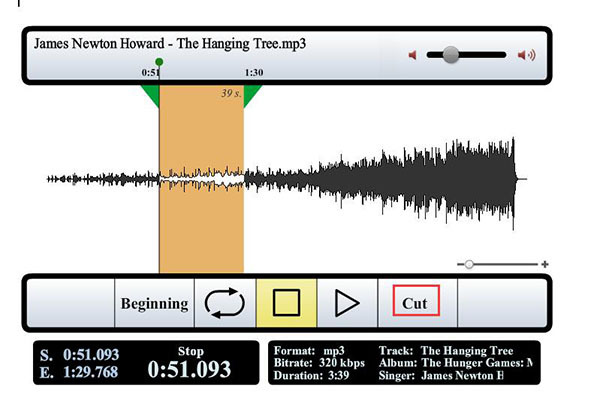 The MP3 trimmer online supports almost all audio formats like WAV, FLAC, etc. 2. Move the cursor in the both side to choose the MP3 clip you need to trim. Click "Beginning" to make the audio start from the designated point. 3. 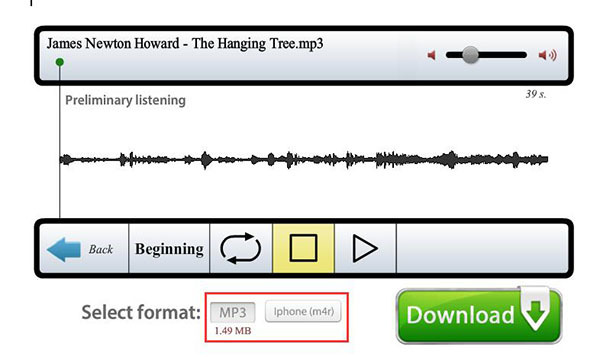 Click "Cut" and you can trim MP3 in a few seconds. The detailed information of the audio is shown below the wave form. 4. Now you can choose MP3 or M4R as the output format, then click the green button "Download" to save the music to target output directory. Different from MP3 Cutter Online, Leawo Music Recorder is an offline MP3 trimmer. You have to install the software and pay $19.99 for the software. If you pay $19.99, you could only use it for one year; if you want to use it for your lifetime, you have to pay $29.99. 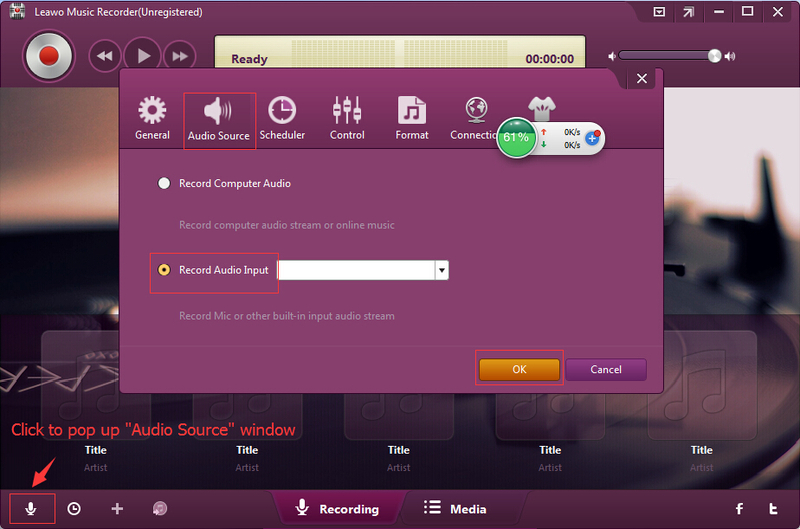 It also supports to record music in over 300 formats and you can save music in the format of MP3 or WAV. The MP3 trimmer allows you to record sound from over 500 websites, computer music and microphone audio. With this software, you can trim, merge and edit music in an easy and convenient way. This MP3 trimmer allows you to manually edit music tags like title, year, genre, etc. 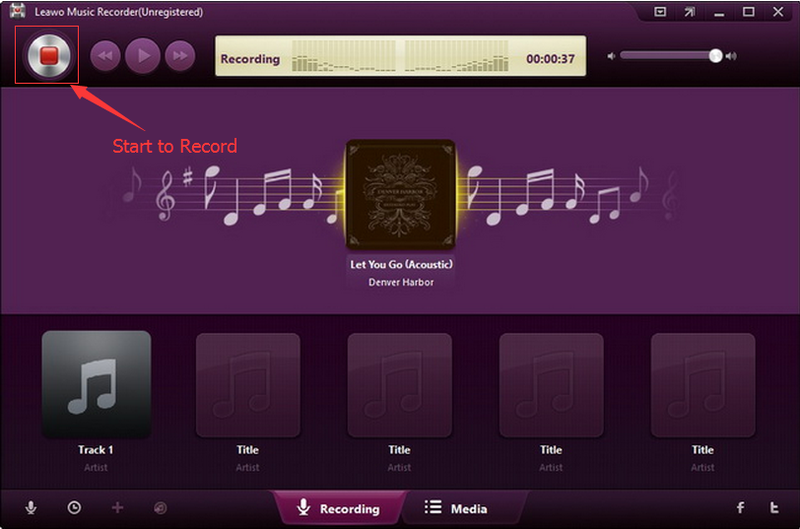 Now follow me to learn how to trim MP3 with Leawo Music Recorder. Download and install Leawo Music Recorder. The below steps would show you how to trim MP3 music files with this offline MP3 music trimmer software. Tap on little drag-down icon in the top right of the interface or click the microphone icon at the bottom left corner to invoke "Settings", then go to "Audio Source" to choose either "Record Computer Audio" or "Record Audio Input". We need to trim MP3 song on computer, so we can choose "Record Computer Audio". On the setting panel, click "Format" to select MP3 or WAV as the output format. For high sound quality, choose WAV. Besides, you can also set the parameters of bit rate and sample rate to enhance sound quality. Afterwards, go to "General" to select the target output directory. Start to record by clicking the recording button in this MP3 trimmer and then play the MP3 song from the position you want to trim. Click the recording button again to stop recording. Music tags will be automatically downloaded and added. If needed, right click the MP3 music you trim and choose "Edit Music Tags" on the media panel to edit music tags like title, artist, year and genre. MP3 Cutter Online is a free online MP3 trimmer, while Leawo Music Recorder is paid MP3 trimmer that respectively costs $19.99 for a year and $29.99 for a lifetime. If you want to enjoy the services of Leawo Music Recorder for the lifetime, you can pay $29.99. 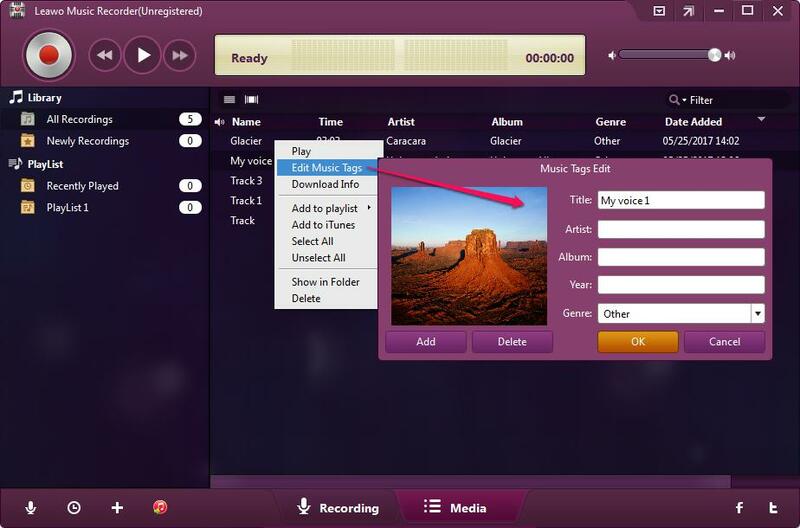 Leawo Music Recorder supports MP3 and WAV formats as the output format, the most popular formats, while MP3 Cutter Online supports output formats of MP3 and M4A. Leawo Music Recorder allows users to set the parameters of bit rate and sample rate and manually edit music tags like title, year and album, which is superior to MP3 Cutter Online. Besides, Leawo Music Recorder can automatically download music tags and enables you to manually edit music tags like artist, title, year and genre, while online MP3 trimmer couldn’t. 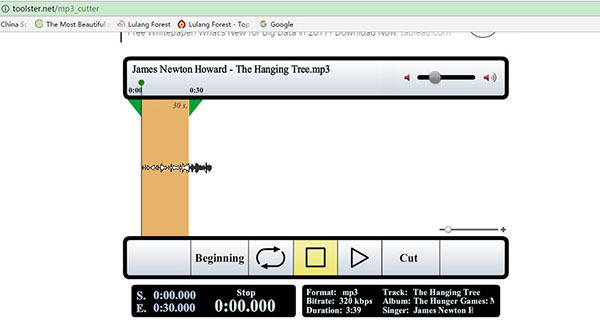 Both MP3 Cutter Online and Leawo Music Recorder are easy to use. With a few clicks, you can finish to trim an MP3 in an easy and quick way. However, Leawo Music Recorder is superior to MP3 Cutter Online in some aspects. 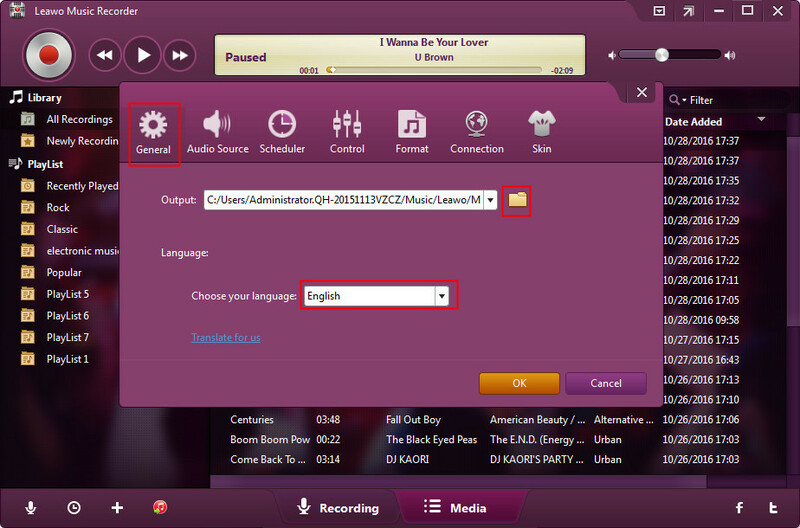 For example, Leawo Music Recorder allows you to adjust the sound quality by setting the parameters of bit rate and sample rate. If you’re using a Mac computer, Leawo Music Recorder for Mac could help you easily record and trim MP3 music files on Mac OS 10.6 and later.